Rejoice friends, for the single greatest news befell us all last week; that Patrick Stewart would be reprising his role as Captain Jean-Luc Picard in an all new Star Trek series coming to CBS. At the minute though, that’s pretty much about all we about of the project. There’s currently no production time frame, storyline suggestions, casting rumours, or any of the usual stuff that follows these announcement. 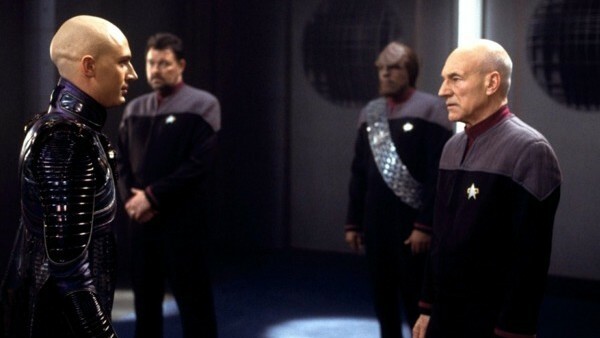 We simply know that it'll be set 20 years after the events of Star Trek: Nemesis, and that it'll focus on Picard's subsequent life. What that vacuum of information means though is that the possibilities for this new show are, currently, endless. We know it’ll feature everyone's favourite shiny-headed Starfleet Captain but, beyond that, the scope for where the show can go is limited only by your imagination. He could be fighting the Borg, he could be making wine, or absolutely anything else in between. But, if you’re a bad, bad nerd like me and have watched all 178 episodes of The Next Generation, as well as the 4 subsequent spin-off movies, you’ll know that the character of Picard is such a rich one, there are certain directions CBS would be fools not to consider.